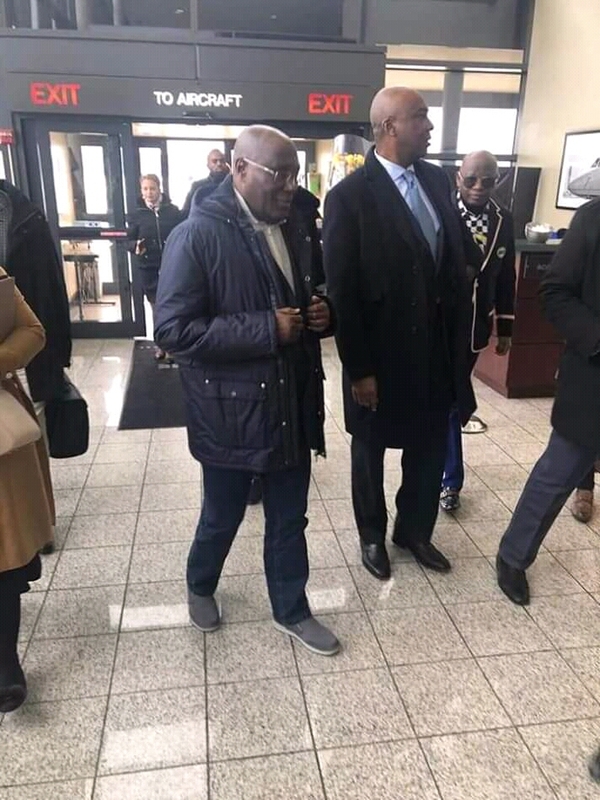 The presidential candidate of the Peoples Democratic Party (PDP), Atiku Abubakar have confirmed his arrival in the United States of America, crossing one of the most serious political hurdles on his path ahead of the upcoming general elections which the ruling party, APC said he will not be able to attain. 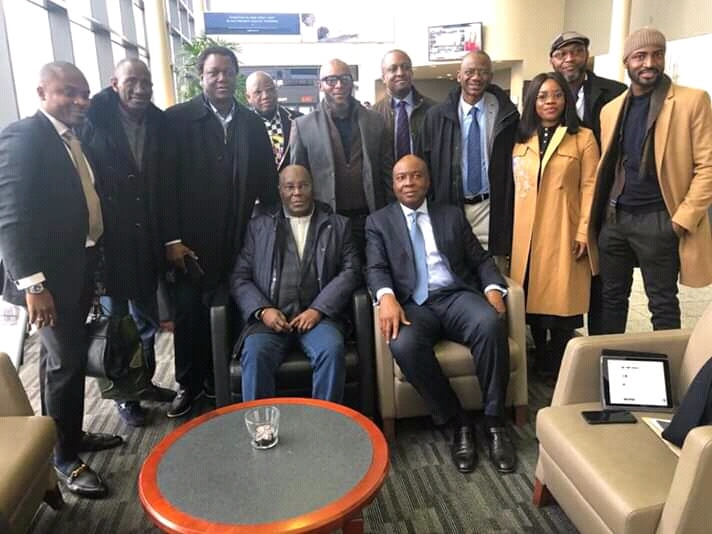 Mr Abubakar, sources said, left Nigeria early today, and has landed in Washington D.C., the American capital, with the current senate president, Bukola Saraki and others, ending a 12-year deprivation of visa to a country in which he once lived and owned properties. Campaign sources according PT said Thursday evening that Mr Abubakar would be speaking at a forum by the American Chamber of Commerce in Washington D.C. and attend other meetings aimed at boosting his presidential election standing. 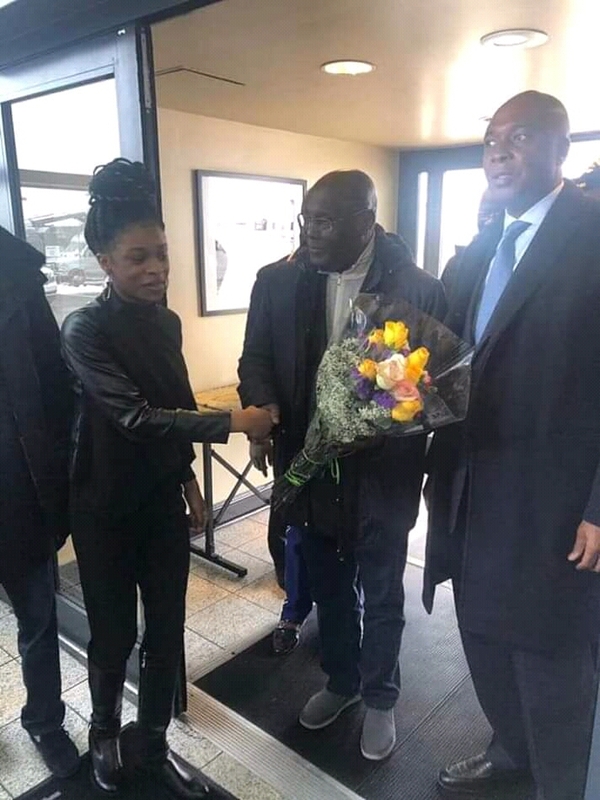 Mr Abubakar’s arrival in the U.S. may rattle the ruling All Progressives Congress, which has taunted him for his inability to enter the U.S. for over a decade. Mr Abubakar has not visited the U.S. since 2007 when he left as Nigeria’s vice-president. He served under former President Olusegun Obasanjo. Recalling that Mr Obasanjo accused Mr Abubakar of fraud while in office, and he was also linked to corruption charges filed in the U.S. The politician denied all allegations of wrongdoing. 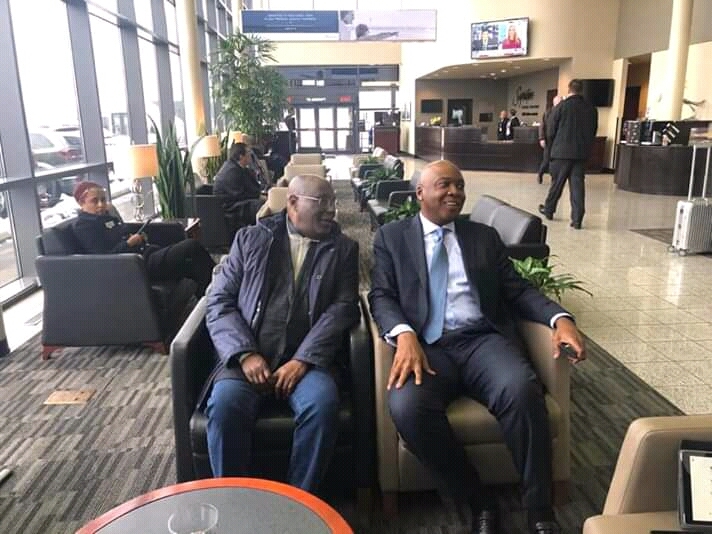 Recall also that when the ruling All Progressive Party, APC heard a whimp that Atiku Abubakar was applying for a visa to the United States, the FG issued a warning to America detailing why he should not be issued an entry visa to America. 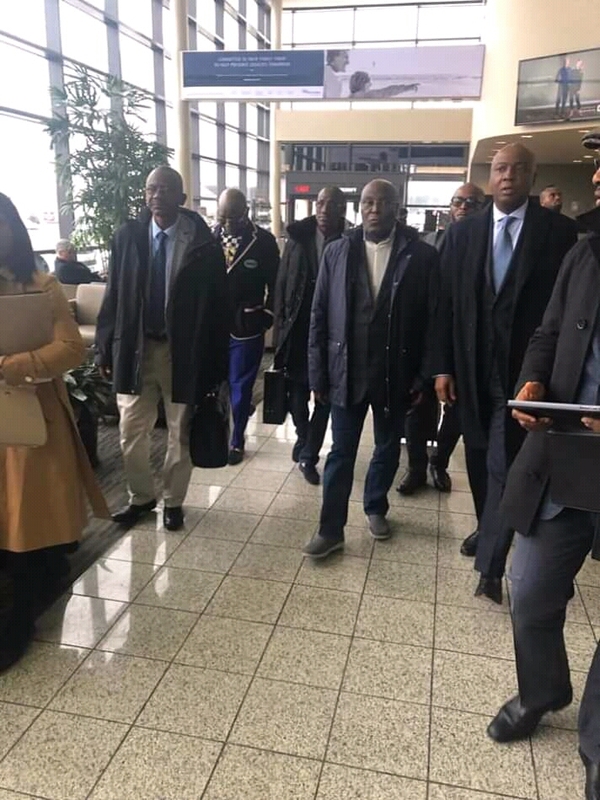 All that has been put to rest now as Atiku Abubakar is now in America. I sincerely wonder what other propaganda APC have to taunt him.